There were several pairs of these sparrow like birds in the New Mexico mountains. They look like a cross between a white crowned sparrow, a robin and a mockingbird. They were very territorial of their turf and drove off most all other species with the exception of the Steller Jays which truly ruled the roost. Wonderful. I have an awesome mushroom/toadstool here in Alpine you’d love to photograph. 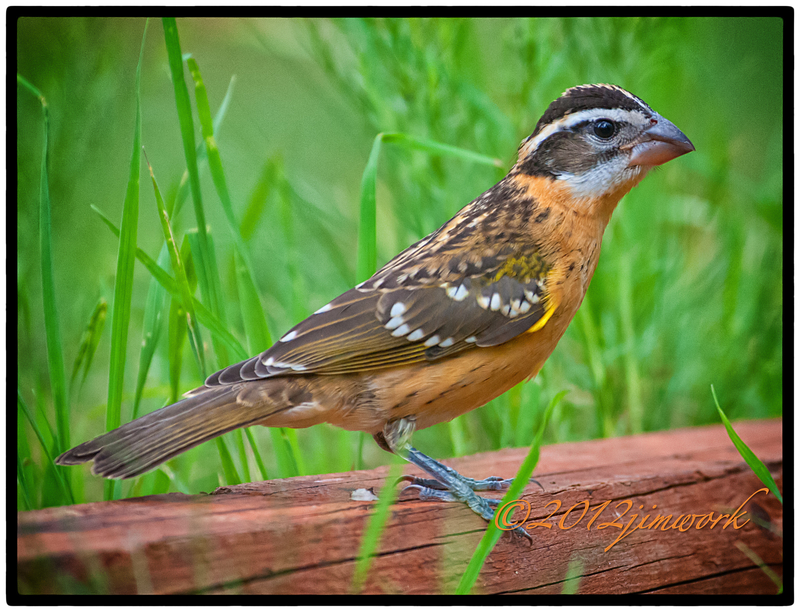 I think this bird is a female adult non-breeding Black-headed Grosbeak. I think it’s a white-winged crossbill – we get them in Northern Michigan. They use their crossbill to pry open pinecones.